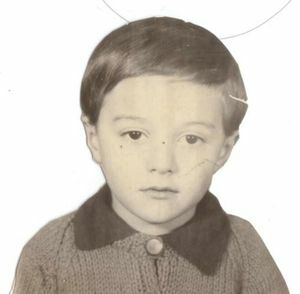 The young Daniel Dos Santos was destined to inherit the family craft as a carpenter but on the other hand, he inherited a dream which was his mother’s dream of songs of Saudade ( sort of nostalgia of the mother country / sort of blues) he could hear her sing from the kitchen while cooking. These songs are the folklore of the country where he spends his summer holidays. This could explain why his first songs came to him while wandering on the litte country tracks between Casaria, a small village in the deep center of Portugal and his cousins’place, in the area. A little later, a real shock came to him at age 13 when he heard an acoustic guitar backing the voice of France’s most famous national R n’R singer : Johnny Hallyday. He was soon offered his first 6 strings acoustic guitar by his parents who at the same time disapproved his rising vocation to become a musician. Dan experiences his first thrill under the limelights when joining a theater troup but he gains a more complete confidence in himself when he is declared the winner of an « amateur » singing contest as a new born author composer at Aigues-Mortes in the South of France not so far from the places where the gypsies meet…Was it a sign from above ?). His military duties over, he is more ready to jump on the wooden boards of a stage rather than setting them together. 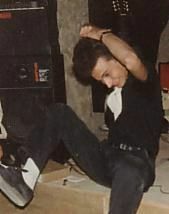 His firts audition takes place in 1988 in a music-hall called « La Louisiane/ Louisiana » where his nickname « Dan Inger » (Dan Singer being too obvious surely !) is given him by his fellow-fans considering his love for North American Music and scene. There, while resting between sets, the main stream of Jazz and Blues reaches his ears… The new Dan Inger is soon introduced one night to the 60’s former teenage singer called ( Moustique /Mosquito ) (small in size but a tornado on these ancient rock n’roll scenes) who has just reopened an ancient legendary place of the 30’s Parisian Swing : « la Roseraie » on the banks of the river Marne in Champigny, exactly where Dan was born on July, 3rd, 1967. For touring purposes, Dan is backed by professional musicians and sometimes musicians who are his very idols’side-men. If there is no doubt that his two first records “Vivre avec Amour” (To Live With Love) (1996) and Live at “Au Belvédère” (1998) are tinged with Folk and Blues played with the French touch, his third endeavour « Atlânticoblues » on the Nextmusic label produced in 2002 goes in new directions exploring the warm sounds of Portuguese speaking countries and offering a musical trip around the Atlantic ocean.. His guests for this recording were as famous as numerous : Lio, Jean-Luc Reichmann, Mariana Ramos, Ricardo Villas, Bevinda… From its coming out in July 2003, it is acclaimed as « one of the most beautiful records of the season » by the daily paper « Correio da manhã » on a whole page. After the single « Nunca fui um Anjo » in 2006, « Le Quatrième » (The Fourth) an acoustic album is launched in june 2007. 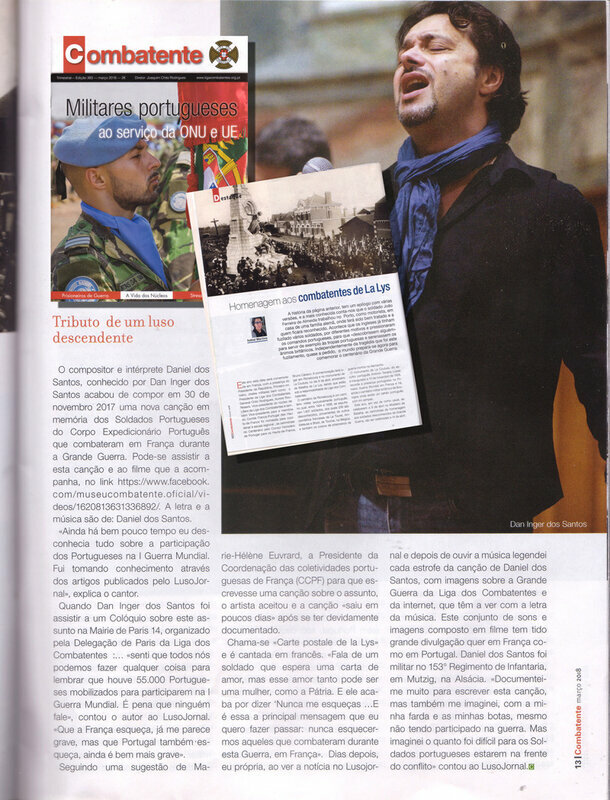 It is written with both writer Alice Machado and the journalist Yann Lavoix (France 2/ RMC). It witnesses the return to the French language with a wink to the latin origins of the artist. 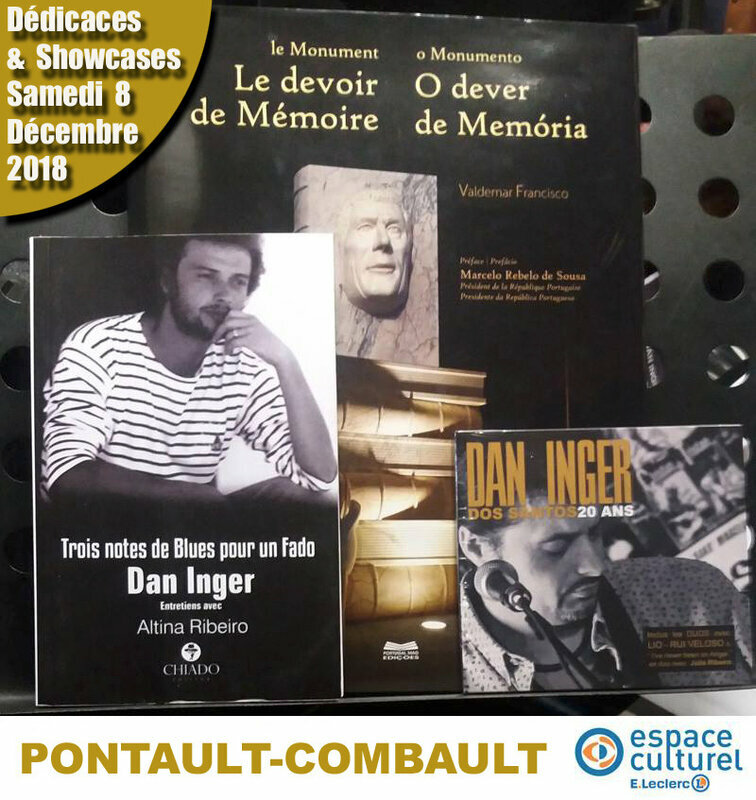 Dan has been on stage with Bill Deraime, Little Bob, Mísia, Teofilo Chantre, Karine Lima, Louis Bertignac, Catherine Ringer, Cyril Mokaiesh, Jean-Felix Lalanne, Camané, João Gil, Custódio Castelo, Denise Chalem... and invited on the stages of « the New Morning », « La Cigale » (Paris) and also has recorded with Patrick Verbeke and Rui Veloso (the Godfather of Portuguese Rock). He also has composed 6 titles for the album called « Montmartre » for the Portuguese rock band : « Pat Kay and the Gajos » in 2005. Since 2008, he has been on the road with the following shows : « Rock n’Mômes » (rock n’ kids) aimed to the youngest audiences and also « On Henri Encore » which is a tribute to the French jazz guitarist and crooner Henri Salvador. He has been recording with the singer and TV speaker : Karine Lima. In 2010 featuring on the album « Ruas », he invites the fado singer Mísia on the Sunset Paris jazz Club scene and his title « Se for Preciso encalhar » fron his ‘Atlântico Blues Album is chosen by the actress Muriel Montossey for the musical strip of the play : « le Choc d’Icare ».